FAQ - Refine All Metals Ltd. Simply fill out our Registration Form and we will promptly send you a Gold Kit that contains everything you need to easily and safely send us your gold or old jewellery. Does it cost me anything to send you my gold & jewelry? It is 100% free to send us your gold. When you request your Free Gold Kit, we send you everything you need to securely and safely send us your valuables. Shipping back to us is prepaid, and all packages are tracked for your assurance. Is my jewellery insured if it gets lost? Yes, each package is automatically insured for up to $100. If you believe that your jewellery is worth more than $100, Canada Post Xpress envelopes can be covered up to $500.00. Purchase the additional insurance from the Canada Post kiosk and enclose the receipt along with your jewellery, and Refine-All Metals Ltd. will reimburse you. If you feel that you need additional coverage please contact our office for other options. What if I’m sending bulky or very valuable items? Please give us a call (800) 785-2371 and we will be more than happy to arrange a more suitable method of shipment for you. How do I know if you’ve received my Gold Kit? All of our prepaid shipping packages contain a tracking number. You may check the status of your shipment any time by visiting www.canadapost.ca and entering your tracking number. How does Refine-All Metals Ltd. calculate the value of my gold jewelry? Refine-All Metals Ltd. calculates the value of your gold jewelry primarily based on these factors: – The price of gold as quoted by the New York spot prices on the day of settlement. – The karat content of your gold which is a percentage of 24 karat:10kt is 41.6%; 14kt is 58.3%; 18kt is 75% gold. – The actual weight of your gold. One (1) business day after we receive the refine-All Kit back we will process your materials and issue a payment. If a cheque is issued, please allow a few days for delivery. Bank wires will be completed within (1) business day. Are your payouts higher than a jewelry store or pawn shop? Yes. Because we are the gold refiner. We refine the metals we purchase and don’t use any subcontractors or middle-men, we can afford to pay you more for your items. What is a Refine-All Metals Ltd. Gold Kit? The Refine All gold Kit is comprised of all the shipping materials you will need to send in your items to our refinery. It contains a padded envelope, a tear-free shipping envelope and a form on which you provide us your payment information so that we know where to send your check. We provide you with all the materials you need and pay the cost of shipping and insurance. What type of items can I send in? We accept anything containing gold, silver, platinum, palladium and other precious metals, such as necklaces, charms, bracelets, rings, earrings, cufflinks, pins, watches or other jewelry. Coins, collectibles, decorative pieces, silver flatware or similar items are also acceptable. If it contains precious metals, we can refine it… even dental work! What will you NOT buy? Can I send in stones/precious gems? Although we accept items containing precious gems and other stones, we are not in the business of recycling these items. If you plan to send in an item that contains a stone which you believe to be valuable, we strongly recommend removing the stone prior to sending it in to us. We deduct the weight of the stones from the gross weight of the item to determine the net weight in gold. 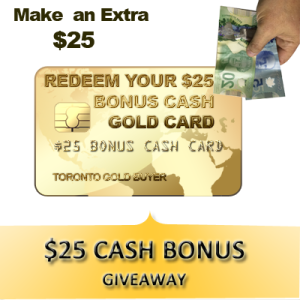 CashGold Canada offers a 100% satisfaction guarantee. If you are unhappy with the amount you receive for your jewelry, simply call our toll-free number and return the check so that it arrives in our offices within seven (7) days of the date that appears on the check. After we receive your check, your items will be returned to you within 15 days. Return shipping costs are to be paid by the customer.Please note that after you have accepted an “on-the-spot” payment or wire transfer as a settlement option, the material becomes property of CashGold Canada, and is destroyed. You will no longer be able to have your material returned. Does Refine-All Metals Ltd. return my non-precious items? Items not containing precious metals will not be returned by CashGold Canada, but you may request these items be returned to you at your expense. In such case, CashGold Canada will charge a twenty dollar ($20) fee to cover return postage and processing in order to return items not containing precious metals to you. How can I reach you with other questions? What types of material will Refine All Metals Ltd. buy? CashGold Canada buys gold, silver, platinum and palladium scrap metal. View a complete list of items we buy. How much will Refine All Metals Ltd. pay me for my scrap material? 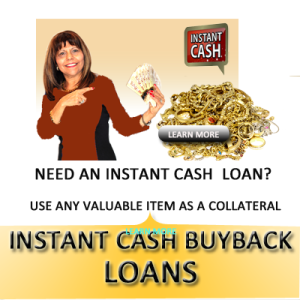 CashGold Canada’s buying prices are constantly updated according to the NY stock market These are the prices you will be paid at the time of settlement. View our current buying prices. What will it cost to refine my metal with Refine All Metals Ltd.? * Sample sizes may change depending on the amount and type of material to be tested. Will Refine-All Metals Ltd. contact me once my package has been received? Yes, Refine-All Metals Ltd. will send you a confirmation email upon receiving your package. This email will indicate your package confirmation number, the weight of your package, as well as the time for processing. Will Refine-All Metals Ltd. contact me once my material has been evaluated? Yes, upon verification of your material, CashGold Canada will contact you to review the contents of your package and to ensure that your order is completed according to your desired settlement option. What if my weights do not match Refine-All Metals Ltd.’s weight measurements? To avoid any discrepancies, all of the scales used by Refine-All Metals Ltd. are legal for trade and are calibrated in accordance with government regulations. As a result, the weights determined by the CashGold Canada are final. What are my settlement options? Refine-All Metals Ltd. is proud to offer you a wide range of settlement options for your old or unused precious metals. They include:- Company check – Wire transfer – Fine Gold Grain – Precious Metal Products – Funds on account Refine-All Metals Ltd. will send payment by regular mail unless otherwise instructed. You may request your payment to be sent via Express mail for a fee of $30, or to have your funds wired to you for $30 (within the United States and Canada). International bank wires, have a maximum fee of $145. Can I exchange my old or unused precious metals for bullion? Yes, Refine-All Metals Ltd. is pleased to offer you bullion as a settlement option. What if I’m sending valuable or bulky items? Give us a call and we’ll arrange an overnight courier.